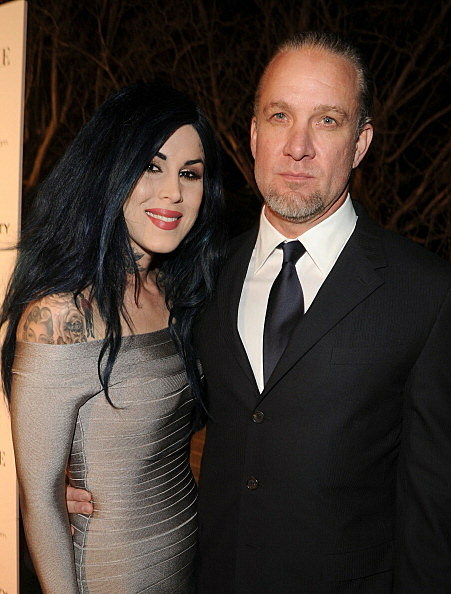 and Kat Von D are so in love they don't plan to waste any time getting hitched. A source tells Radaronline that the tattooed pair is going to tie the knot within the next month. "Jesse and Kat don't see any reason why they should wait to trade vows," claims a source. "They are madly in love with each other and want to make everything official." The source adds that they've already started planning the wedding, which will take place outside of California. Meanwhile, insiders say that one person who wasn't shocked by the couple's engagement announcement last week was Jesse's ex Sandra Bullock. An insider tells PopEater that the Oscar winner was given a heads up that the news would be coming out, and has accepted that Jesse has moved on. Said the source, "It may seem like only yesterday that Jesse and Sandra split but for her, life has changed so much that it seems like ages ago."